If you have a sprinkler system in your yard that you are about to begin to use, there is a chance you could run into some issues. First of all, despite all the precautions you may have taken in the fall to ensure that your sprinkler system made it through the winter, you may still need repairs made. Secondly, whether you have been told or not, it is actually recommended that you have someone come inspect your sprinkler system every three months or so, just to ensure it is working properly. These sprinkler tune ups will not only make sure that there is nothing wrong with your irrigation system but it also will leave your sprinklers working at the best of their abilities. When you hire a professional company to come take a look at your system, they will check to make sure that none of your sprinkler heads are broken, that your yard is being evenly watered by the sprinkler placement, to see if any of the nozzles need to be replaced and if the timer and electric valve are functioning properly. Your sprinkler system is an investment, just like your car or your home. In order for it to last, it has to be maintained. When you stop getting tune ups on your sprinkler system is likely going to be the beginning of the end, and do you really want to spend all that money to have a sprinkler system installed for a second time? We don’t think so. 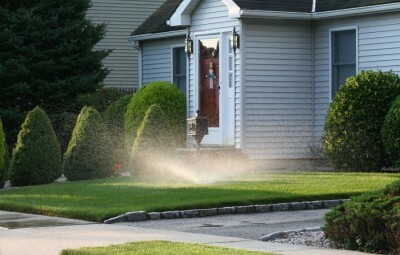 If you need a professional to come take a look at your irrigation system in your yard now that the weather is warming up, call the experts at A&C Sprinkler. We can give you our opinion and make sure that your sprinkler system is going to work efficiently through summer.